All of our professional ducks are designed to celebrate various careers - and the hardworking men and women behind them. Hand painted with adorable uniforms, they’re completed by tiny hats and shoes to suit each job role, from teacher to train driver. 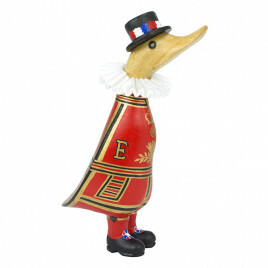 Because of their bespoke creation, you can even personalise your ducks with messages and names, making them a thoughtful gift to loved ones entering a new job or reaching a career milestone.